When looking for a great meal, people often use Google Search to find a suitable restaurant, it's location, opening hours and menu. Menus are one of the first items that potential customers look at when trying to decide on a restaurant to visit, and restaurants that have outdated menu items, poor imagery, hard to find menus on their websites — or worse, no menus at all — are more likely to be passed over by consumers. Google My Business now enables you to publish rich itemised menus, photos and prices. 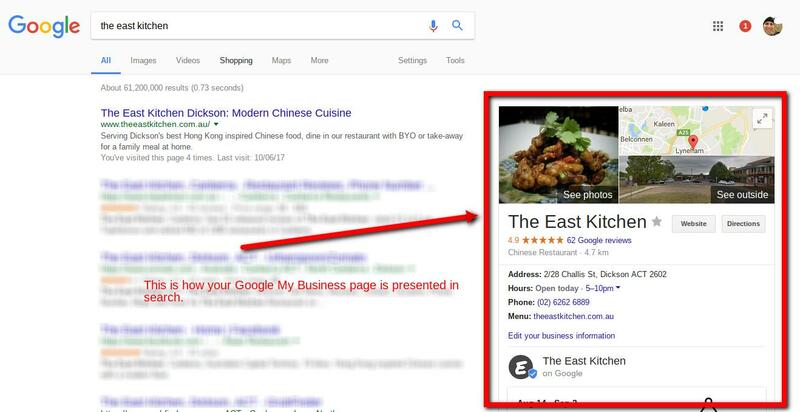 You can showcase your business menus immediately in the search results with images and descriptions to capture browsing customers. Problem is, this is not a feature that is available to consumers. Yep, you need an app. To publish menu's to your Google My Business page you need to use their API, this means only an app can do it. We are building that app for you. Pre-order and be the first to enable a rich menu experience. We are building a service to enable businesses in the hospitality industry an easy way to publish menu's on your Google My Business page. And as a beta customer you get the benefit of a heavily discounted product and you will be the first to advertise a rich menu experience for your customers. Stand out of the crowd, convert more "window shoppers" and look more professional and tech savvy to your customers. No subscriptions, update as you need. NOTE: Pre-orders do not charge your card, you can cancel at any time before the advised "go live" date and it won't cost you a cent. We use Stripe processing facilities through our Plasso shopfront. We do not store any card details.